The last ever European Poker Tour €10,300 High Roller has come to an end, and it was a record-breaking one here at the Hilton Hotel in Prague. A total of 407 entries smashed the result of last year in the Czech capital. Only 22 hopefuls returned to the tables for the third and final day, and just after midnight William Kassouf cut a deal with Patrick Serda to end 2016 with a bang and celebrate his birthday with a trophy in his hands. Serda held a four-to-one chip lead over Kassouf, but the duo eventually agreed on a deal that saw Serda take home the lion's share of the prize pool worth €719,000. 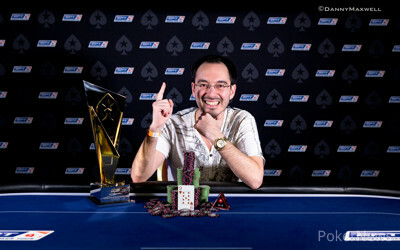 Kassouf receives €532,500, the honor of being the last ever EPT High Roller champion and the winner picture as part of the deal. The first level saw two casualties in EPT12 Grand Final High Roller champion Alexandru Papazian and Steven Thompson Vila. Papazian first lost a big flip with ace-jack against the pocket nines of Patrick Serda and bowed out one hand later. Paul Hoefer and Vlado Banicevic followed next. Hoefer called the blind-on-blind shove of Adrian Mateos with king-ten suited and Mateos only had nine-six suited, but a six appeared on the flop. Banicevic called all in out of the big blind when Mateos opened and Viliyan Petleshkov three-bet shoved the button. Mateos folded, Petleshkov had nine-ten suited and Banicevic pocket queens. The flop gave Banicevic middle set and the Bulgarian a flush draw, a third on the heart completed the flush. Oliver Weis and Viacheslav Goryachev were the next to fall and the last two tables were set. 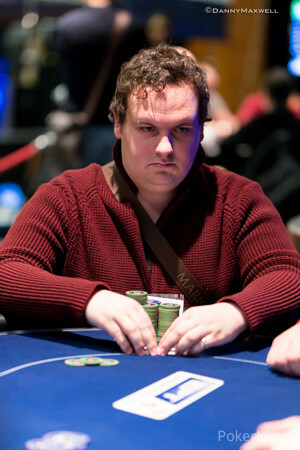 Glib Kovtunov started the day second in chips, but eventually had to settle for 16th place. Kovtunov flat-called a raise by Serda on the button with ace-jack and spiked top pair, then called down three barrels including the all in after the river only to see Serda flip over sevens for a flopped set. In the same level still, Martin Finger and Mateos fell victim to the hot run of Jens Lakemeier, who came back from almost zero to double up twice and then knock out the High Roller regulars in quick succession. Samy Ouellani called a raise by Tue Ullerup Hansen with nine-eight suited to find middle pair on a jack-high flop, but failed to improve against Ullerup Hansen's queens for an overpair. EPT11 Deauville High Roller champion Josip Simunic lost a flip with ace-king suited against the pocket sixes of Serda and Mesbah Guerfi failed to hold up with ace-three suited against the ace-deuce suited of Lakemeier. 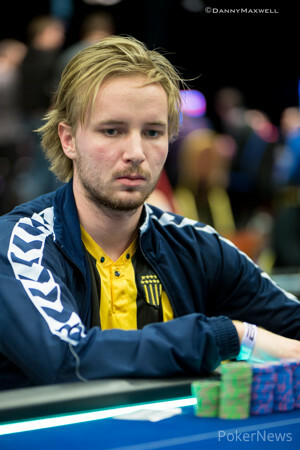 2015 Master Classics of Poker winner Jussi Nevanlinna lost three big pots in less than one hour when getting it in as favorite: Ace-king versus ace-ten, jacks versus tens and king-nine suited versus seven-six suited. The last beat was one too many, and the field was reduced to the last nine hopefuls, all guaranteed at least €75,400. Ullerup Hansen was in the lead followed by Boika and Serda, while William Kassouf was at the bottom of the counts. Kassouf had doubled up three times as short stack to stay in before reaching the final table and would do so again twice with pocket kings to join the big stacks. Kassouf then raised with ace-queen and called the three-bet shove of Ihar Soika for nine big blinds. Soika had ace-king and a queen appeared on the turn to eliminate Soika. Jens Lakemeier was the next to fall. In a heads-up pot against Serda, the German found a gutshot and flush draw with nine-seven suited and rivered third pair. Serda shoved with ace-ten for top two and Lakemeier called with just a pair of nines to bow out in eighth. Matas Cimbolas followed soon after when he failed to improve with king-ten suited against the king-jack suited of Viliyan Petleshkov and they were down to the last six. Start-of-the-day chip leader Grzegorz Wyraz finished in sixth, his shove with six-five suited was called by Serda with ace-seven and two clubs on the flop were not enough for Wyraz. One level later, Paul Leckey had a kicker problem with ace-three against the ace-queen of Serda and the Canadian had established a big lead already. This got even bigger when the deuces of Petleshkov ran into Serda's eights and the board bricked. Down to the last three, the deal discussions came up for the first time. Ullerup Hansen declined and the Dane was then out in third place. He first shoved with ace-eight on the button and Kassouf doubled through him with ace-ten. Soon after, Serda shoved with queen-seven from the button. Ullerup Hansen called from the small blind with ace-jack and a queen on the flop appeared on the flop. The final deal discussions took half an hour, but no further hand was being played and both players shook hands. That wrap's up the PokerNews live reporting of the EPT13 Prague festival and the European Poker Tour by name, as the PokerStars Championship will take it's place as of 2017. After more than 20 minutes of deal discussion, the clock was called and the one minute ran down. 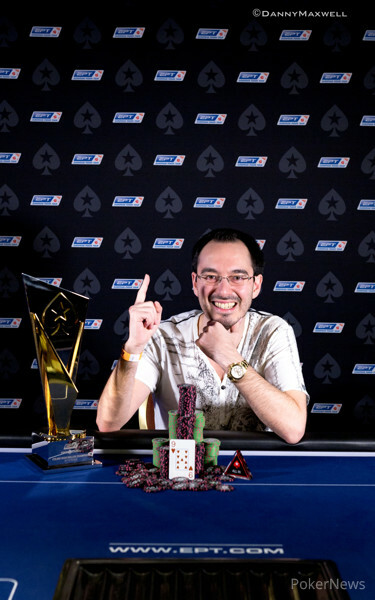 Ultimately, Patrick Serda and William Kassouf agreed on a deal and Serda takes the lion's share of the prize pool with €719,000, while Kassouf receives the trophy, honor of last EPT High Roller champion and €532,500 with a nine-high like a boss winner picture. Patrick Serda jammed all-in from the button before Tue Ullerup called from the small blind for his remaining stack of 2.9 million. Hansen's lead before the flop evaporated as the flop came to pair Serda. The on the turn and the on the river were unable to help Hansen snag the lead back and he was eliminated in third place for €351,000. 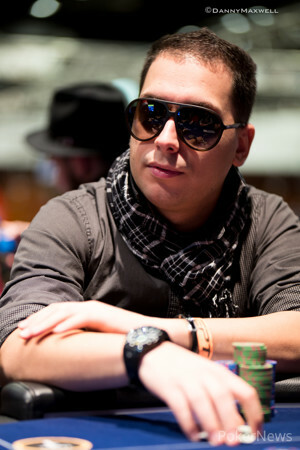 Meanwhile, Serda's chip stack soared to 16.25 million or about a 4:1 advantage over William Kassouf's 4.1 million. The duo have been busy discussing a deal while the action is on a scheduled break. Tue Ullerup Hansen open-shoved from the button and William Kassouf called in the small blind, Patrick Serda folded the big blind. The board ran out and the kicker played to let Kassouf double. The three players briefly looked at ICM numbers and Tue Ullerup Hansen declined, Patrick Serda said he would have asked for more money anyways. In the first hand back, Ullerup Hansen moved all in from the button and claimed the blinds and antes. After winning another hand, Patrick Serda and his remaining two opponents Tue Ullerup Hansen and William Kassouf headed into a small break. Below are the up-to-date chip counts of the trio, Serda has a massive lead. Viliyan Petleshkov open-shoved first to act and William Kassouf with a slightly smaller stack folded on the button. Patrick Serda asked for a count out of the small blind and the shove of Petleshkov was for 3,245,000. Serda moved all in and isolated successfully. The Bulgarian rail was shouting for a deuce, but their wish wasn't granted on a board of and Petleshkov was eliminated in fourth place for €283,850. Kassouf joked about a three-way chop and Serda replied with a simple and very dry "no thank you." The remaining three players are now guaranteed at least €351,000. With the EPT Main Event in the books, the William Kassouf's rail has gotten larger and he promised to buy them drinks on the next break. Even though his rail grew, his chip stack after the last few hands he got involved with has become smaller. During the last hand, Tue Ullerup Hansen opened up from the button to 400,000 and Kassouf called from the big blind. Kassouf check-called a bet from Hansen of 225,000 on a flop. Both players checked when the appeared on the turn. Kassouf then checked when the completed the board on the river. He said to his opponent to bet a variety of colors and to make the bet around 1,200,000. Hansen instead bet close to that firing out for 1,100,000. Kassouf tanked and told his opponent, "I still don't believe you." Told you I have two pair and still have two pair." Once again Kassouf had time called on him. As has been the case many times today, he folded his hand after time was called. Who Will Win the Last Ever EPT High Roller?